There are certain laws of second child-dom that have come to pass in our household which essentially can be summed up in the following: whatever happened with the first child will be opposite for the second child. For example, Nia was sleep averse, however Gray loves to sleep. Nia was OBSESSED with nursing, however Gray isn't as passionate about it. We barely noticed when Nia teethed, however Gray's teething is epic. About that last part: TEETHING. It is the reason why I mustn't skip coffee in the mornings and why my to-do list is being neglected. Grayson needs LOTS of cuddles and snuggles to get through teething (and the looooong nights!). He has two teeth that popped in already on the bottom, but the two on the top look extremely painful. His gums have been stuck in swollen limbo for over a week. They're from Baby Banana Brush who I met at Toy Fair earlier this year. 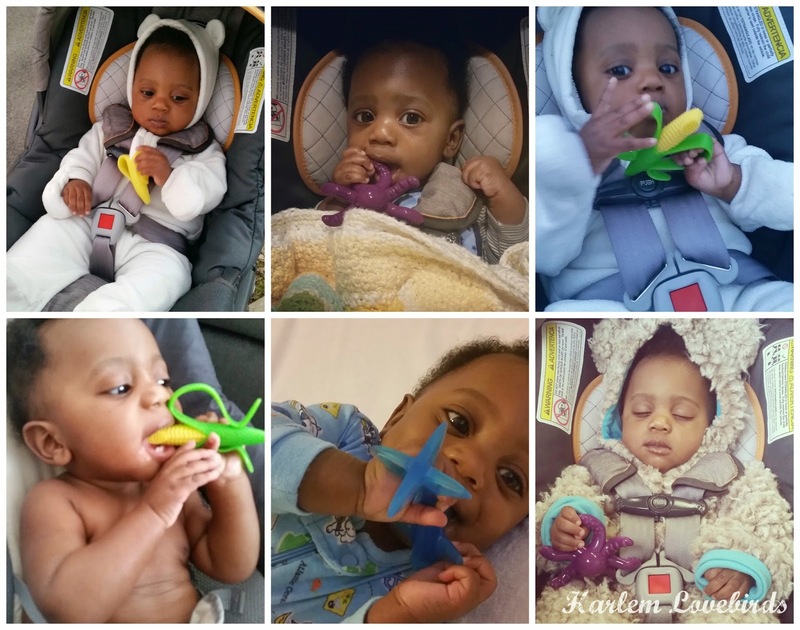 Created by Heather Phillips, a fellow mompreneur, after this scary experience with her son, they have been Gray's favorite especially during this brutal rough patch of teething. 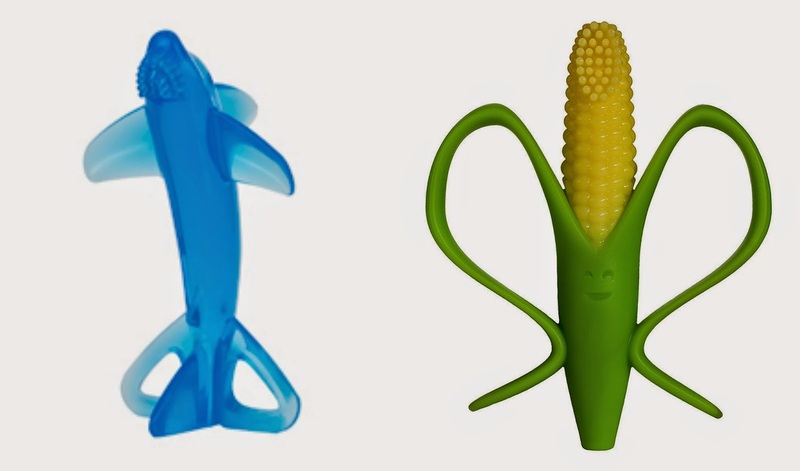 I was given the original Baby Banana Infant Teething Toothbrush and Octobrush at Toy Fair, which I attended while I was pregnant with Gray, and waited patiently until I was able to use them. They have since become a necessity in our household! Be sure to follow Baby Banana Brush on Facebook and Twitter for the latest product news!